Hello! I can’t begin to tell you how much it means to me to be joining you today to help spread Autism Awareness in our stamping community and beyond. The day Tami asked me to share my story by writing the post for today’s hop I cried. It touched my heart to be thought of, and to know that my son means so much to others. 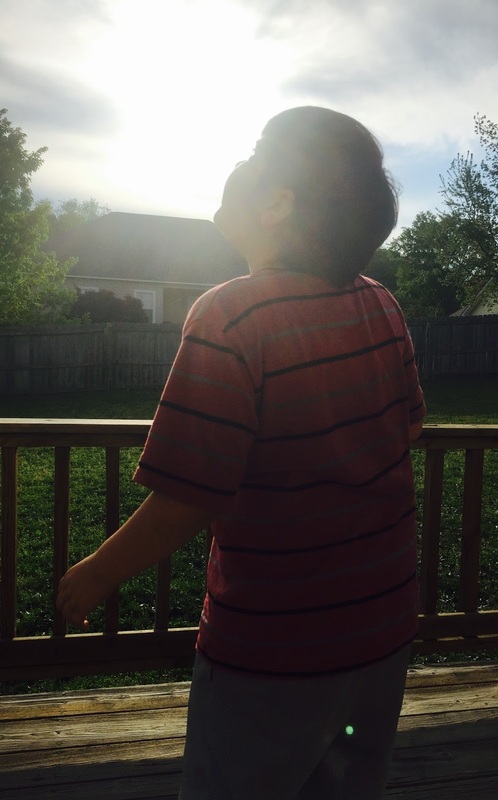 My son Cameron is 9 years old and he has Non-Verbal Autism. He wasn’t officially diagnosed till age 5. We are so blessed in that Cameron is able to communicate by typing, and he is very much able to let us know his needs, wants and feelings. My husband and I joke about Cameron being better at typing then the both of us! We don’t let autism slow us down, and because of that Cameron is a great traveler and we have driven across the USA and have enjoyed trips the same way as most families. My Autism fact is: From the Greek word meaning "self" autism literally means alone. Cameron loves rainbows, and color. He sees the beauty in the simplest of things and that is where the inspiration for my card came from today. God does give us rainbows, and Cameron is my rainbow. I used the set "Over the Rainbow" to create my card. I cut out strips of card stock and stamped the small heart from the same set to create a heart patterned background. I stamped and hand cut the sun. Hi Veronica, thanks for sharing your story. Cameron sounds like a lovely boy and such a blessing to you, how wonderful! Your card is beautiful and the sentiment is so true. TFS! 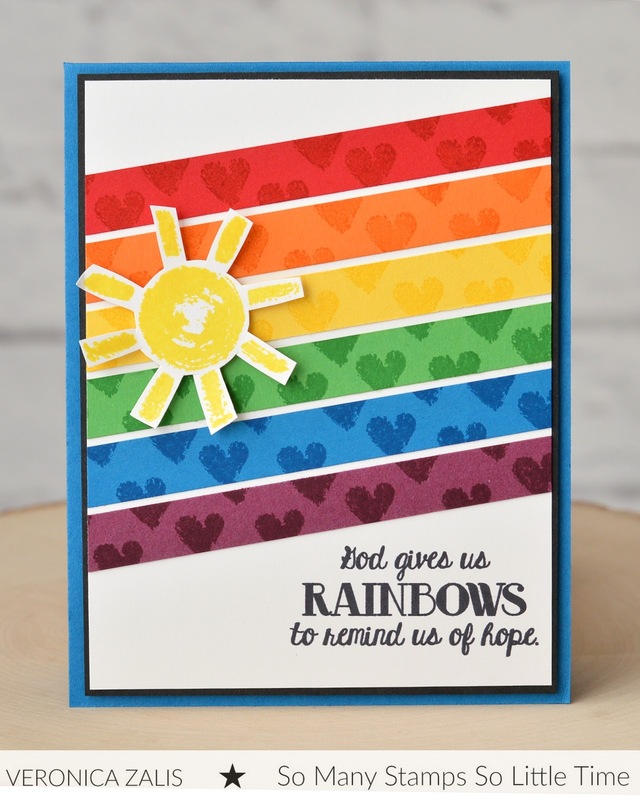 Such a beautiful card and a lovely sentiment that's just perfect with your story. Thanks so much for sharing a bit about your Cameron. Thanks for sharing your story Veronica! The card is such a lovely compliment to your son!